Lembah Bujang or Bujang Valley is a sprawling 224 sq km site near Merbok, Kedah, stretching between Gunung Jerai (Jerai Mountain) to the north and the Sungei Muda (Muda River), in the south. It was the site of an organised society, dating back more than 2000 years and which left behind more than fifty ancient temples. Evidence that Kedah was once the centre of an iron production site has been unearthed. Iron smelting furnaces were found in Jeniang, not far from the Sungai Batu site, Bujang Valley. 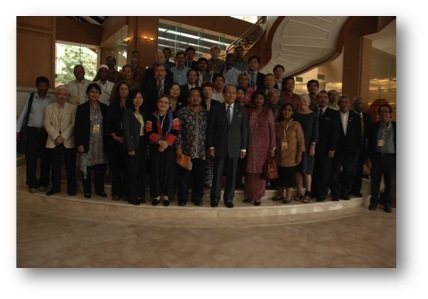 Such is the international interest in Bujang Valley that in July 2010 a conference, jointly organised by the Department of National Heritage and the Universiti Sains Malaysia, was held. 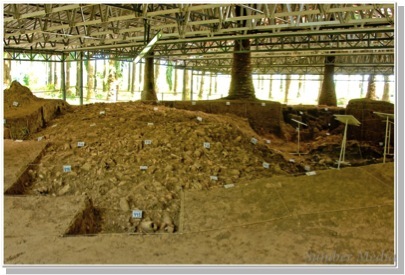 The discoveries of Sungai Batu were attracting the attention of historians and archaeologists. The conference therefore was an opportunity to present Sungai Batu site and enjoy an exchange of ideas and knowledge with international, regional and local scholars. The Sungai Batu site can be located on longitude 5o41’73. 3 ’’North and latitude 100o27’19.7’. East co-ordinates, and is 18 meters above sea level, taken from the GPS (Global Positioning System) reading at the datum point of the study site. The site, situated in an oil palm estate, is near the new Merbok-Semeling Road, and is about 10km from Sungai Petani, and 80km from Alor Star. It was discovered during development works to the oil palm plantation, which exposed brick structures. 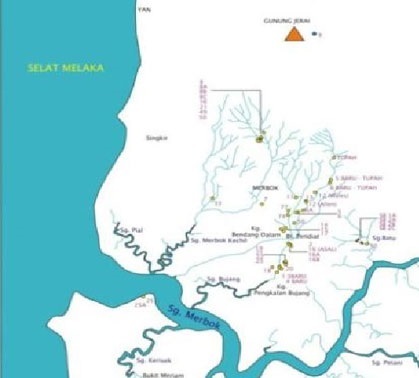 This new site is also still within the sphere of influence of the Bujang Valley civilisation which might also have been associated with other sites such as Batu Pahat, Pengkalan Bujang, Kampung Bendang Dalam. Sungai Batu is part of the Bujang Valley complex. 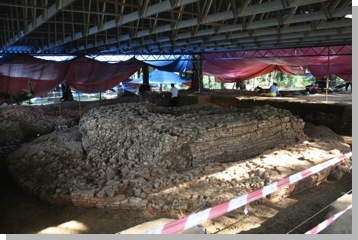 Excavation work carried out by the Centre of Global Archaeological Research, Universiti Sains Malaysia (USM) , Penang, with the support of the Department of National Heritage, began in 2007. 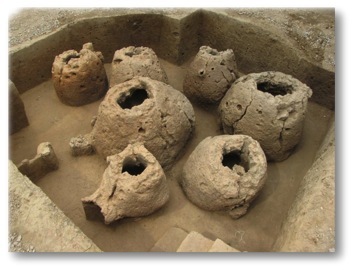 Sungai Batu holds evidence of Southeast Asia’s earliest civilization, complete with a strong economic foundation, that of iron smelting and the exportation of Iron ore on a large scale. It is older than the ancient sites of Borobudur or Angkor Wat. Some 97 sites have been identified but currently only 20 interlinked sites have been excavated. Dating back to the 1st century AD, the iron industry continued until the 8th century. Preliminary scientific comparisons between black iron found in Sungai Batu and that found in Arabia and India, are hoping to confirm records from those countries that refer to the import of such iron from Kedah. The discovery of a stone with Pallava inscriptions indicates a link with the Pallava Dynasty of northern Tamil Nadu, India. Supporting the theory of export trade was the discovery of jetty like structures, and roof tiles, found near, what is now a small stream but 2,000 years ago was a river plying with craft deep into the Bujang Valley and across the waters to India and Arabia. 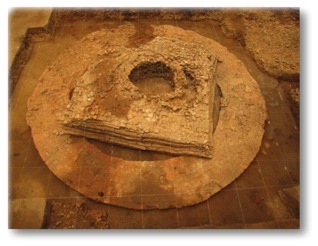 One unexpected find was a brick monument, dated 110 AD, made up of three parts; a circular base or floor of 10.61 meters in diameter, a square upper part of 5.51 meters by 5.51 meters with a central hole, 1.61 meters in diameter. The features of the site and the discoveries in the surrounding area indicate a place of worship, likely related to nature and the cosmos. Such sites occur world wide, but it was an unexpected find in Malaysia. With this find, the most important in the region, the history of Southeast Asia will need to be rewritten. The brick monument - the unexpected find. Iron Smelting furnace, Jeniang. Discovery of the earliest site in Bujang Valley, 1st century AD. Iron smelting site, in existence from around the 3rd Century AD.